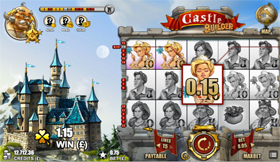 Castle Builder is the latest 5 reel, 20 pay line progressive video slot from Rabcat, with a fantasy theme. 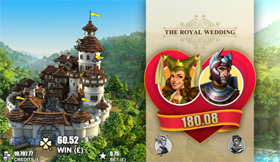 The slot features exciting royal weddings with increasing bonuses, earned achievements and multiple levels. 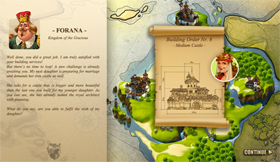 Castle Builder is set in the medieval times and takes players on an adventure amongst fairy tale characters, wealthy kings, princesses and gold filled bags. 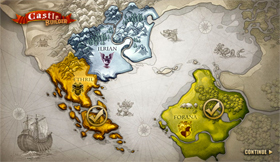 There are three different kingdoms and a player’s aim is to spin the reels to gather as much construction materials as possible to build 10 castles in each of the three kingdoms. Once a castle has been built, the king’s daughter will choose a husband out of 50 possible suitors who in turn will show their riches before the wedding. 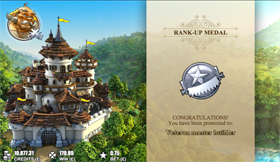 The bigger the castle is the more prizes players will be rewarded with. Players will work their way through new levels, ranging from poor fellows, which is small wins, to average citizen, which is medium wins right up to rich guys which is the high wins. 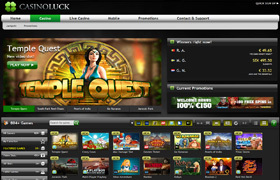 Players will be rewarded with extra credits with the game progress saving option which is an exciting additional feature in the slot game. Did you know that Castle Builder Slot was nominated for the Game of the Year award at the 2013 EGR Operator Awards? 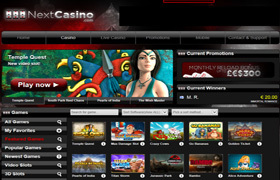 They also offer many different bonuses and offers daily consisiting from match bonuses to Free Spins or Both!................VISIT CASINO LUCK. Welcome Bonus: Please refer to their Website for Bonus information. Banking: Plus many more options on their website. 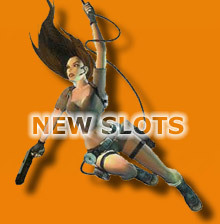 Welcome Bonus: Various Bonuses are available depending on which section of the casino you choose to play. Its best to refer to their website for the latest bonus on offer.